Limbo was a game interesting enough to earn itself a chunk of our precious media exclusive hour on the PAX show floor. Dedicated followers of the site will note we had a hands on article up within hours of playing it. Fortunately, we were able to speak with the producer Mads Wibroe while we played, since I for one wasn’t willing to put the controller down. 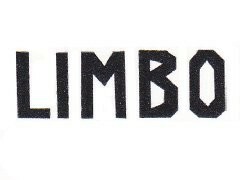 Limbo is a difficult to categorize game. The creators weren’t aiming for a specific genre. Puzzle Platformer seems to fit best, though the puzzle aspect works its way in slowly. On the surface there may be some superficial similarities to recent games, notably Braid, but the creepy monochrome style and distilled gameplay quickly set it apart. All you do is run, jump, climb, push, and pull. Figuring out how to get past each obstacle using only these skills and the objects in the environment is the challenge. The platforming is very solid, and melds perfectly with the animation. Watching as the silhouette you control catches the edge of a platform and pulls himself up is a joy, with a fluidity rarely seen in 2D. Throw in the exceptional physics and you are witnessing a true work of art. I spent some time climbing into and running around on the boat just to watch the realistic rocking and drifting. The game began development 6 years ago, and the nuances present in the demo are a testament to the hard work that has gone into it. Nuance, really, is the key. Everything about it is subtle and well done. As I discussed in my hands on, the simplicity of the visuals keeps your eyes glued to the screen, ever vigilant for the jagged teeth of a bear trap ready to clip your head off. The audio is atmospheric and filled with clues. Buzzing flies draw you to a hanging piece of meat near a bear trap. A rumbling tips you off that you might want to run away from this sliding log, since something big is on the way. The sights and sounds, combined with the minimal story, all unite to produce an isolated, mysterious feel that draws the player in extremely quickly. You literally have no idea what to expect. It is some time before you even see what you might call a monster, though once you do it is memorable to say the least. Scheduled to be complete and ready for sale sometime in late June, you can expect Limbo to be on XBLA this summer. Since the games featured in the Summer of Arcade are at the sole discretion of Microsoft, we can’t say or sure if it will be included in that promotion. We do know that it is a high quality product and will be priced accordingly. For my money, this is going to be one of the must-haves for the summer.